Obtaining a work permit for Botswana is not the simplest of processes. The regulations are somewhat ambiguous and great emphasis is placed on the officials and immigration board in deciding further requirements and decisions. Professional help saves time, frustration and can only increase your chances of success. Who needs to apply for a work permit for Botswana? All expatriate workers who wish to take up employment in Botswana need to apply for a work permit. No non citizens of Botswana may engage in any occupation unless they have been granted a work permit for Botswana under the Employment of the Non Citizens Act or are the holder of a certificate of exemption. It is further stated that no employer shall engage a non citizen if the citizen is not a holder of a work permit for Botswana or the holder of a certificate of exemption. A quick internet search will reveal that whilst the Botswana government recognizes the benefits of engaging expatriate skills that are not available there are huge frustrations with the work permit process and lots of ambiguity. How does the process work for obtaining a work permit for Botswana? Exclusive period where only Botswana citizens can apply. Specific occupations will also require additional items such registration with professional bodies and specific documentation applicable to their profession. The completed application and fee for the work permit for Botswana is then submitted to an authorised officer (via designated channels) where the application is reviewed and a recommendation made. The authorised officer is entitled to call in the applicant for an interview. It is then forwarded for consideration to the Regional Immigrants selection board. The board may at any stage request further information. It is also the entitlement of the board to request further information that it deems relevant. Also, emphasis is placed upon the arrangements that are in place for the training of a Botswana individual to replace the appointed non Botswana worker. How long are work permits valid for? In short they are issued with a validity period that the board feel to be appropriate. If your application is turned down for a work permit for Botswana you can appeal the decision. Appeals are quite common, with sceptics pointing towards increased fees as a motive. The National Immigrants Selection Board carries out the review process for appeals. Can a work permit be renewed? 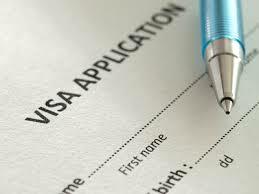 Yes a work permit can be renewed and the process is akin to that of an initial application. Intergate Immigration and its appointed representatives are able to assist you with all aspects of work permits for Botswana. Our aim is to supply a service that gives you all the need to know information and causes the least stress possible to our applicants.